Russian President Dmitry Medvedev has cancelled his visit to Vancouver to attend the closing ceremonies of the Winter Olympics on Sunday evening, CBC News has learned. 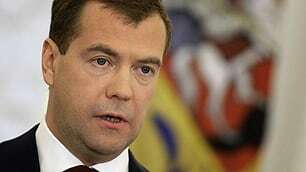 The announcement comes as a surprise because Russia is the next host of the Winter Olympics in Sochi in 2014, and Medvedev had planned to attend. Russia has also fared poorly in the medal count at the Vancouver Olympics, holding fifth place behind Canada as of Thursday morning with 13 medals — less than half of their predicted results. International Olympic Committee president Jacques Rogge called out Medvedev for his country’s repeated doping violations in cross-country skiing and biathlon. The suspicions surrounding the Russians, who have had eight biathletes and cross-country skiers banned for doping since the end of the 2009 World Cup season, were raised repeatedly during Rogge’s media conference in Vancouver on Feb. 9.